The Revd. Malcolm Jones, preacher (left)began his ministry in Shetland( I assisted at his Ordination) The Revd. Jeongsook Kim our minister at Mapperley, and The Rt.Rev. 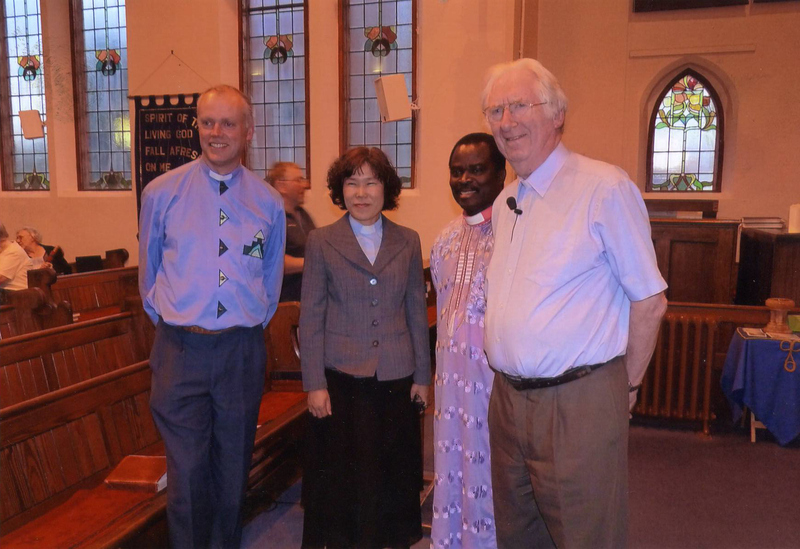 Emmanuel Twum-Baah, Bishop of the Methodist Church in Ghana, who visited us in Shetland under the ‘Go for Ghana’ scheme. About 100 friends joined us in this service – including representatives from the Nottinghamshire police, the Nottinghamshire Hospice and neighbouring churches.